Our computers have been buggy for over a month. We're told the errors are fixed - they're not. Patrons are getting increasingly upset. WE are getting increasingly upset. Someone returned my lovely In the Town All Year 'Round by Berner with THE PAGES STUCK TOGETHER. Sniff. I just sort of accidentally changed our youth services blog url. Which is all over our spring/winter brochures. My previous errors of printing the wrong times and dates in brochures pale in comparison to this. Although not adequately informing patrons we had no programs the week of Thanksgiving was, I think, more traumatic. We'll have to see how it measures up. And only 5 kids came to my afternoon storytime. And I have to work 9-6 on Friday, three storytimes. It's back to school for Joey....and a few things have changed. Over the summer, some kids grew...and some kids didn't. And time seems to have slooooowwwweeed down. Will his boring classes ever end? But maybe it's not time that's slowed down; Joey's speeeded up! Joey discovers he has super fast abilities, but he's not the only one who thinks they could be useful! 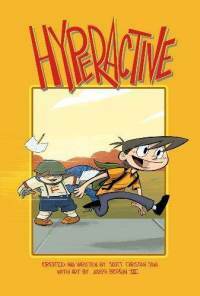 This is a fast-paced comic adventure with plenty of funny bits. Joey's new super abilities interact hilariously with the real world and there's a side-splitting twist at the end. No angst, world crises, or tortured relationships, just a kid who has discovered he can do something really cool...and, of course, it lands him in trouble. Verdict: I really love this adventure and highly recommend it. It's quite popular at the library! The paperback isn't as sturdy as I would like, but it will hold for many circulations. Have I mentioned how much I loooove seek and find books? Well, I've just found another delicious one! 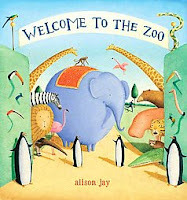 A family walks through a very unusual zoo, where the animals mingle with the sightseers and mysterious little stories develop everywhere. I'm not sure how I feel about the "distinctive crackle-varnished" aspect of the artwork, which gives it little cracks, but I looove the images themselves. The penguins are adorably cylindrical (can you tell them apart from the balloons?) the women's skirts are marvelous spots of color, and the elephant, oh the elephant. Do you see his adorable roundness? His perfect plump blueness? I want an elephant like that. Oh, and there's also a twisty map at the beginning and a series of pictures to find at the end. Ooh, I like this meme. These are my comfort reading, mostly books I first read as a child. Look Through My Window by Jean Little. The first Jean Little book I read. I can remember exactly how I felt reading it, the sun shining through the window. This is my favorite summer book. It's a perfect story of friendship, growing up, and poetry. 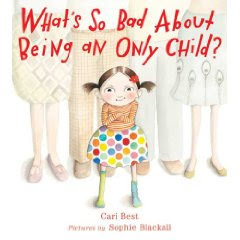 I never connected to any other "young adult" or "realistic" books growing up, mostly because I could never (and still can't) relate to any of the characters. But I could imagine - and desperately wanted - to have a friend like Kate. And I felt a lot of kinship with Emily. I read this at least once every summer. 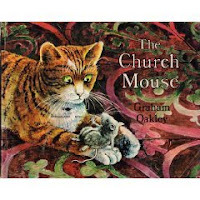 The Church Mouse series by Graham Oakley. I adore all of these, don't have a particular favorite. I can spend hours giggling over the detailed pictures, the sly jokes, and expressions, long-suffering Samson, bombastic Humphrey, sturdy Arthur...you get the idea. The River at Green Knowe by L. M. Boston. This is not the cover I have - mine is a jacket-less, much-taped, old green ex-library copy. The first L. M. Boston book I read was Stranger at Green Knowe, generally considered her finest, but River is my favorite. I love the episodic adventures, the wonder and excitement of the river at night, the magic and mystery of Green Knowe in the moonlight. The huge map, the shrinking scene, the winged horses....I love them all. Ozma of Oz by L. Frank Baum. I like to re-read all the Oz books regularly and they're all very comforting, but I think this is my favorite. I was very excited when I discovered a Recorded Books audio of it in my library system, read by John McDonough. I'm not sure why this is my favorite...I think it's the dinner-pail tree that resonates with me. Tangle and the Firesticks by Benedict Blathwayt. 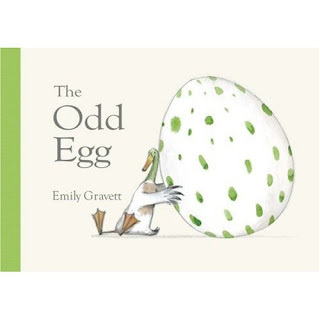 This is a rather odd picturebook that I loved as a child. Small furry creatures live in a wood. Tangle, a clumsy trouble-maker is banished, but after many adventures returns in time to save his tribe. I got my current copy - a beautiful hardback from bookmooch.com, much to my delight. I like this mainly because I read it as a child, and because I like small people books. Isadora's clear, simple prose takes the reader through the story of Sophie, who loves to skate and hopes someday to be a competing champion! The main text and illustrations are supplemented with captions that explain the various equipment and many of the moves used in figure-skating. Isadora's art is warm and shows a diverse group of children and teens demonstrating skating maneuvers and equipment. An excellent choice for young or hopeful figure-skaters. Verdict: This updated version of Isadora's 1988 classic is out of print in hardcover, but well worth picking up a used copy or buying paperback if you have skating enthusiasts. My new vampire book came back! Back in December, some evil miscreant stole a big stack of my new YA books. Books so new they had NOT EVEN CHECKED OUT ONCE!! They took the Teenage Liberation Handbook, one of Donita K. Paul's dragon fantasies, Jenny Downham's Before I Die, half my new Clique books, a new Ellen Hopkins (they left the cover. thanks a lot) some others I can't remember right now, and my new vampire book, Robin McKinley's Sunshine. All faith in humanity destroyed, I was merely marking the days...and then they started showing up! Sometimes, since we have no security system, people forget to check things out. Apparently, this was what happened because everything came back! Except my new Ellen Hopkins and my new vampire novel. Now, I didn't really expect to see my Ellen Hopkins back, since they peeled off the cover, apparently in the mistaken belief that a. we had a security system and b. we were dumb enough to put the thingies in the jack. But my new vampire novel! No one had even checked it out once! So, here it is, a few months later....and it CAME BACK!! Obviously, some well-intentioned, lovely teen, desperate to begin reading, forgot to check it out. Like any decent citizen, she returned it when she finished it! It's not even bent. Sniff. I'm so happy. Tigers! They creep up on you in the dark! I don't know why it took me so long to read this book, considering that I am the WORLD'S BIGGEST FAN of There Are Cats In This Book. I think I looked at it once and it just didn't grab me. 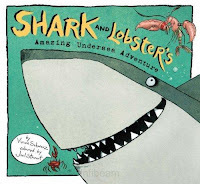 Every reader knows that there are reading moods, and I just wasn't in a shark reading mood. Anyhow, I finally read it. And loved it! Not as much as the cats, of course (Don't worry, guys, I still like you best!) but very much. It's slightly maniacal and menacing humor would appeal to both adults and children. Shark and his friend lobster are just chatting one day when suddenly...they realize that tigers are SCARY. Tigers could be creeping up on them right now! They have to prepare! And so begins an insane building project culminating in a journey to the deep, dark, depths of the sea to bring back...well, you'll have to read the book yourself. If Alice ever fell into the ocean, she'd undoubtably meet Shark and Lobster and feel right at home. Only one quibble, because this book reads vertically instead of horizontally, it's kinda hard to use in storytime. At least for me, possibly some of you more coordinated librarians out there can manage it. Verdict: Sadly out of print, but definitely worth looking for used on Amazon. Quite a bit, it turns out. Rosemary is tired of being the center of attention, having 6 names, and never having a special person to play with. She envies her neighbors and friends with siblings to whisper secrets to, argue with, make messes with, and go home together. Her parents just can't understand why she's upset and don't seem enthusiastic about having additional children...so Rosemary comes up with her own unique solution. The illustrations show Rosemary moving from smothered only child to the messy, not-so-lonely person she wants to be. Her stubborn determination is evident from her perky pigtails to her wiggly mouth. A fun - if somewhat unrealistic - story for anyone who's ever wanted siblings - or wanted to get rid of them! Verdict: It's not quite the thing for storytime - I've tried it and it just doesn't work. But parents might like to try the reverse psychology approach if they have a new sibling on the way! 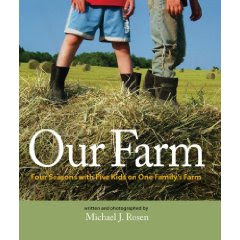 With statistics, interviews, photos, and commentary, Michael Rosen presents family life on a modern farm. Our Farm contains plenty of numbers and facts, but it's more than just research and information. This book is the story of a family who enjoys their life and each other. Each season has different jobs and different joys. As can be seen in the afterword and in some commentary, Michael Rosen doesn't always agree with the lifestyle of the Bennetts - especially hunting. But he presents an honest picture of their way of life. This is the perfect book for anyone wanting to know about rural life, life on a farm, or just to enjoy reading about one family's approach to life. Verdict: Whether or not you live in a farming community, this is a great look at a rapidly vanishing way of life in America. Buy it for your patrons to see themselves - or experience a different world. Please post your title and blog link in the comments and I'll upload them throughout the day! Wendy at Six Boxes of Books has written short reviews of ALL this year's Siberts! Betsy at Fuse 8 has reviewed Tales for Little Rebels by Mickenberg and Nel. Wendie's Wanderings has some great nonfiction links! Thanks to all who participated! I hope I am not cutting anyone off, but I am going to bed. Yes, I realize it is only a little after 6pm, but I am rather sick and have to be able to get up tomorrow and do multiple programs on snakes. Involving paint. And 6 or more preschool boys. I promise I will add any further links that come in tomorrow morning bright and early. I think it was Fuse 8 who first brought this book to my attention. I love detail books and it sounded great. But when it arrived a few weeks ago at our library, and I was checking out the new, to-be-catalogued books....it didn't look great. It looked STUPENDOUS. AMAZING. FANTASTIC. and also EXTRAORDINARY. For each of the four seasons there's a page of people to follow and a tree on a hill with the various characters around it. Then, there are 7 spreads, each showing a gazillion people, animals, and things. The settings for the spreads are the same for every season, but every single detail changes! It's the best of Richard Scarry, Waldo, and I Spy, all rolled into one large book! I refused to exile this to the oversized books - it's going to be on permanent display! Hours of looking delight! Verdict: An updated verdict - this has become a constant favorite in our library, much-beloved by many parents and children. Buy it! Now! The fifth book in the Named series does not disappoint fans of the adventures of the prehistoric, sentient cats. 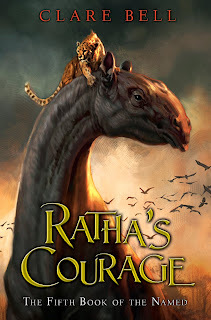 I must admit to being a little nervous about reviewing this addition to the series - there are so many loyal fans out there, and while I read Ratha's Creature many years ago, thousands of books have passed before me since then. Plus, as my sister tells me, "if there's such a thing as high fantasy, you read low fantasy." Of course, the obvious thing to say is "this is for older fans of the Warriors series." Which is true. I did find some of Ratha's thought processes to be a little heavy-handed, but it's a minor quibble. In comparison to the Warriors, this is a book with deeper themes of how cultures interact and wars are born. About independence and relationships. The research is amazing and the world is perfectly imagined and presented to the reader. Often when an author returns to a world after many years, the magic is gone. But Ratha's world is still compelling and its characters as real as when Ratha first determined to survive her exile. Verdict: A must if you have the other volumes of the series, of course. If you don't, do some statistical analysis of the ages and total sum of your Warriors fans and buy accordingly. This complete explanation of the periodic table gives a description of each element, told in first-person, and its density, melting and boiling point, date of discovery and also includes details of its classification and atomic information. The illustrations are cartoonish and show bulky anthropomorphic representations of each element. There is a brief glossary and index included. 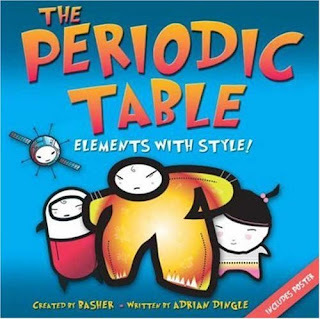 Verdict: This may be useful for a student struggling with understanding the periodic table, but the reading level and length are too long and heavy for it to be a memorization aid. Some of the elements include snippets of information, but this will have a limited appeal to nonfiction readers. I love duck books....and this is going to be one of my favorites! All the birds lay eggs - the robin, hen, parrot, owl, and flamingo. All the birds...except duck. But duck finds an egg! A beautiful, lovely egg! Unfortunately, no one but duck thinks it's such a great egg....but he doesn't care. Then the eggs hatch....all except duck's. But duck is patient. He waits, and waits, and one day....crack! I won't give away the ending, but it is deliciously perfect! The pictures are sly little masterpieces, with cut pages (like the Hungry Caterpillar) that add to the little jokes and the final big surprise! Verdict: This is an updated verdict! I've read this in multiple storytimes, on many, many school visits, to colleagues, to waiters in restaurants (yes, I have impromptu storytimes in restaurants with my colleagues. Depends on the restaurant, of course) and it is universally giggled over. Lovely. Brian Jacques' latest, Doomwyte, is no surprise. It has all the basic elements of a Redwall adventure - a rhyming riddle that hides a buried treasure or secret. Wicked vermin secretly approaching Redwall. A brave woodland creature bent on vengeance. A perilous hare to the rescue. Small abbey dwellers who discover their courage and use their wits to save the Abbey. However, the series is getting a bit tired, and this is not one of the better additions. The "black avenger", after a big, mysterious build-up, falls rather flat as a minor character. The young characters who should be central are interchangeable and don't appear to have greatly changed by the end of the story. The most definite young character, the young Guosim Dubble, suddenly drops out of prominence in the end, and you have to read very closely to find out what happens to him. The Gonfelin mice-thieves are an imaginative touch, but never really fleshed out. Too many characters and events, a loose plot, and a vague ending will make this one of the lesser Redwall series, along with Loamhedge, The Legend of Luke, and the last few additions to the series. 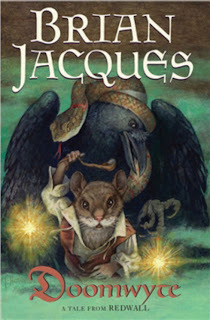 Fans will want to keep reading, but those looking for strong animal fantasies will lose interest before reaching this lackluster entry in the Redwall roster. Verdict: Redwall is still a very popular series in some libraries, but not in mine. This is probably the last title I will buy in the series - Warriors is more popular. If you still have a fan base, go for it. Otherwise it's not worth it. Did Anne Boleyn really have six fingers? Was Henry VIII so fat he had to be carried? Beccia presents the evidence for and against various royal rumors and you, the reader, pick out the truth! I'd recommend this book to followers of celebrity gossip (some things never change!) lovers of code and mystery, history buffs, and students learning to research in any subject. The afterword explaining how to "research a rumor" is an excellent tutorial for testing fact against fiction and tracking down interesting nuggets of information. The fascination continues on Beccia's website, where you can find reading recommendations and interesting tidbits about the book you may have missed on a first reading. Verdict: An actual interesting history book! There's a good chance you'll get kids to read this without coercion - buy it!